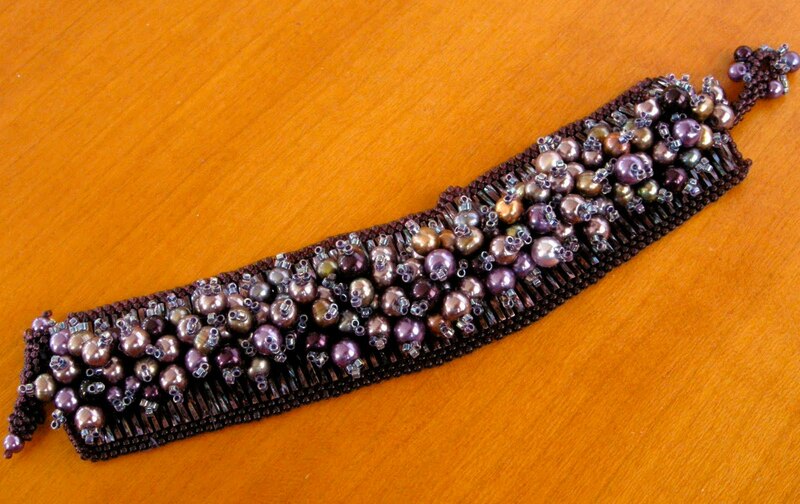 I used twisted bugle beads along with 11/0 seed beads for the peyote base and fringed the glass and freshwater pearl beads on top of it. It closes with a peyote loop and toggle. Love the cuff, so professional looking. 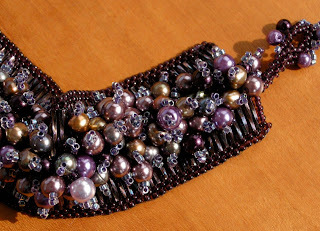 The ruffled beads on your previous blog post are cute. You are so patient with beading. Your my idol..
OK, I have to leave another comment. Beautiful, Cindy. Elegant, beautifully made, just the right amount of sparkle and so wearable to every occasion. LOVE it.